Rugby League fans look set to benefit from Sky's latest free sports giveaway this weekend, when it will provide 9 1/2 hours of free-to-air coverage of day one of Rugby League's "magic weekend" event on Saturday 17th May via its Freeview channel Pick. Coverage of the event, held at Manchester's Etihad Stadium starts at 12 noon and continues until 9:30pm. Unlike previous sports freebies on Pick, the schedules indicate that Freesat viewers will also be able to watch the action. Viewers can tune in on Freeview (and YouView) channel 11 and Freesat channel 144. 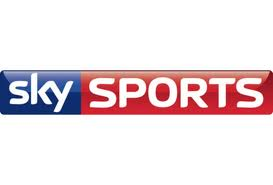 It's also available on Sky channel 152 and Virgin Media channel 180 for those without a Sky Sports subscription. Day two of the event remains exclusive to Sky Sports subscribers, via Sky Sports 1 (HD).